Summit7 Virtual Show Stand from summit7 on Vimeo. Extend your trade show investement and grab your potential clients attention with your virtual show stand using out unique VR Stand Pack. 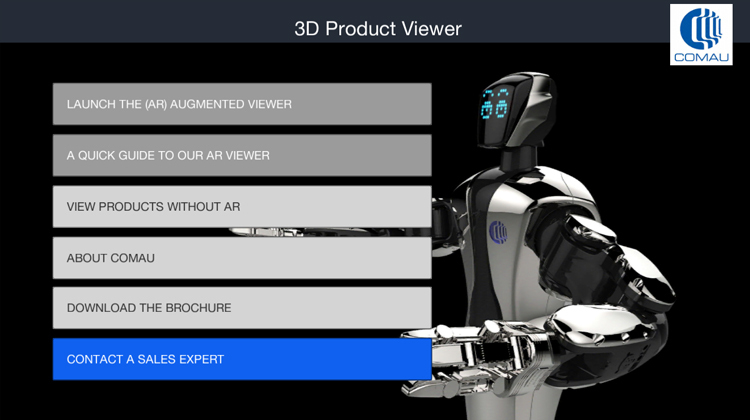 Visitors will be able to download brochures, email a sales representative, view the latest demo videos, while giving your clients and experience they will always remember. 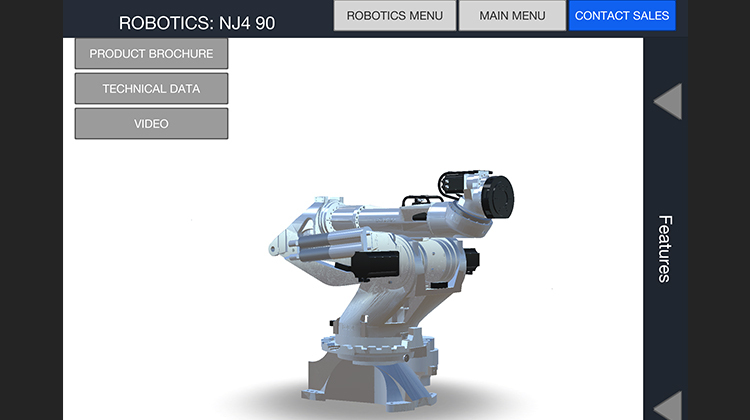 We created an App for a world famous Robotics company to showcase the Robotics range. 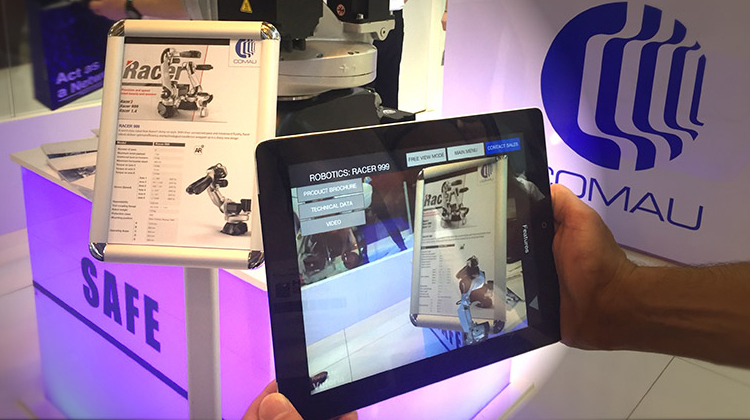 The 3D animated models were presented to visitors of the show while they scanned printed brochures on their mobile devices. The App was further enhance with quick links to technical information along with videos and extra data. App users could also view all products without Augmented Triggers to extend the appeal of the App once the show had ended. Why shouldn't people be able to teleport wherever they want ? 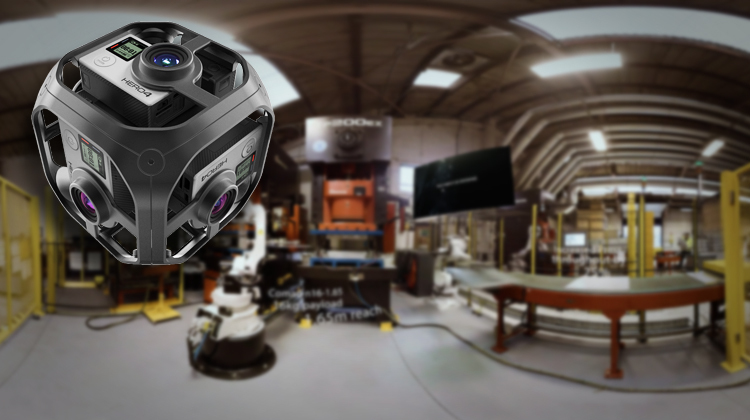 Working for Comau we created a set of 360 8k Videos using our new GoPro Omni. Each video was designed to transport customers directly to the factories where the latest Robotic Technology was being used. Customers could fully appreciate through virtual reality the speed and quality of each product within sales meetings as if they had just visited each site in person. The results were outstanding once displayed in the latest Oculus Rift headset. 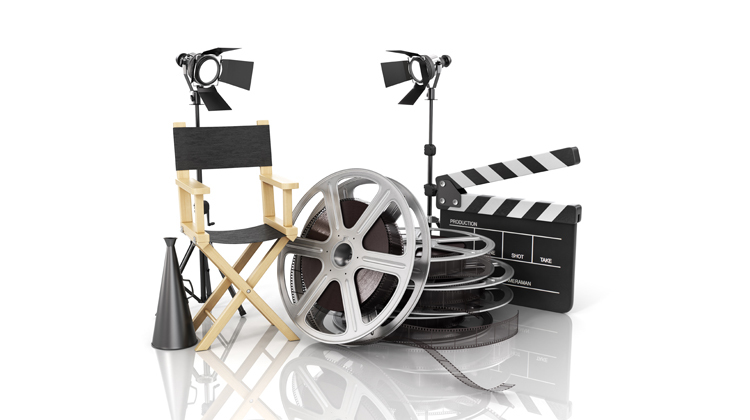 While its difficult to answer this question we will try to give you some typical costs and processes that will effect the budget of your production here. Unlike traditional video 360 videos take allot longer at each stage due to the complexity of creating such a large video file. As a result producers need to charge for time and materials that would typically be 4 times that of an average production. However this should not put smaller budgets off the idea as approach is key to creating a 360 video experience that fits budget and objective....a good production company will work with you on this.